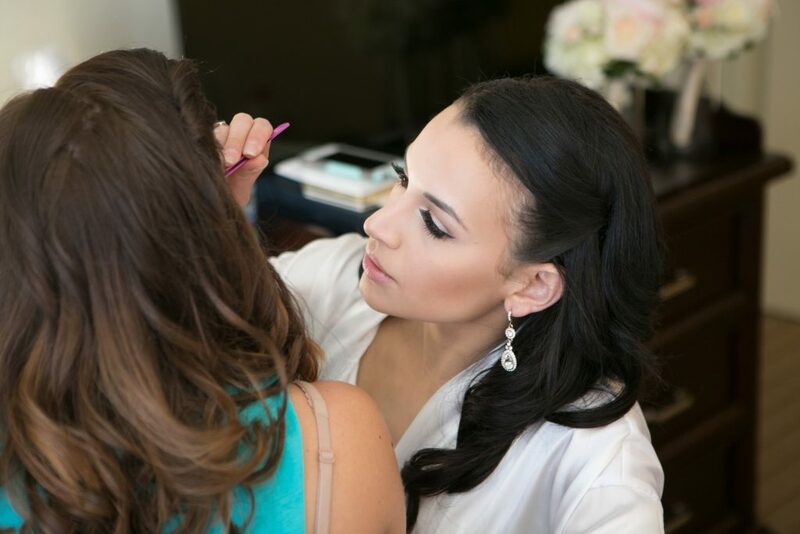 On YouTube I shared a video where I recreated my wedding day makeup and I love looking back at pictures of me getting ready for my big day! 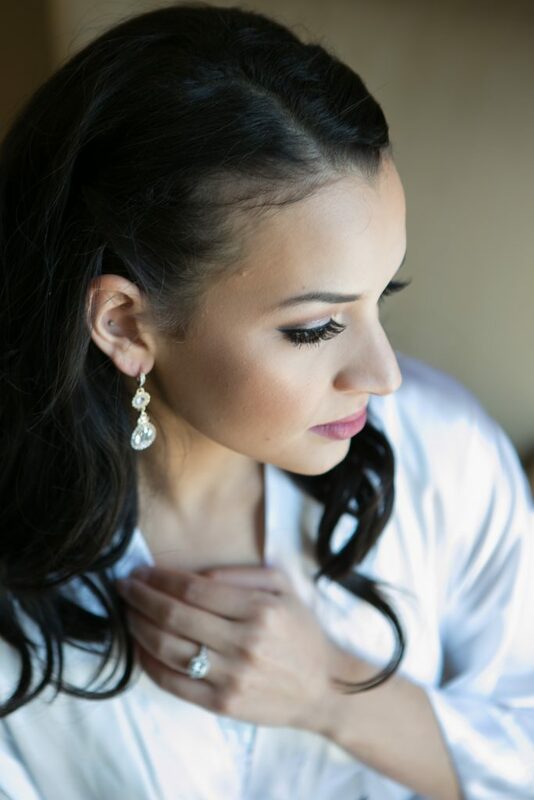 I was definitely very nervous about doing my own wedding day makeup but throughout our engagement I spent a lot of time thinking about how I could incorporate my favorite products and what look would best represent me. I decided to go with a makeup look that best reflected both my style and rose gold summer wedding theme. I spent hours searching on Pinterest and YouTube for bridal makeup ideas but I realized going with my instincts was my best bet. Most bridal tutorials I found would avoid winged liner or a bold matte lip which are both favorites of mine! Looking back, I’m very pleased with how my makeup turned out and I’m glad I went with a bolder yet summery look. 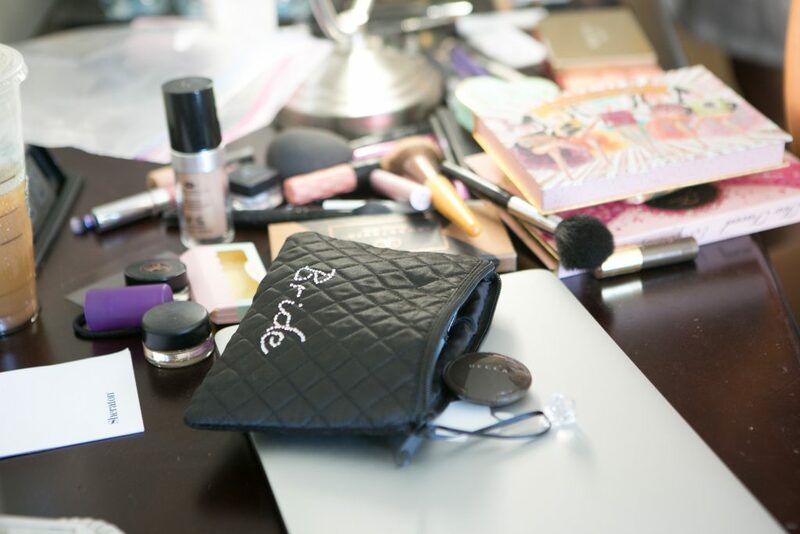 I loved using so many of my holy grail makeup products, and ever since then, every time I reach for those products I’m reminded of my wedding day. In my wedding day makeup tutorial I walk through each product I used and how to recreate my wedding day look! 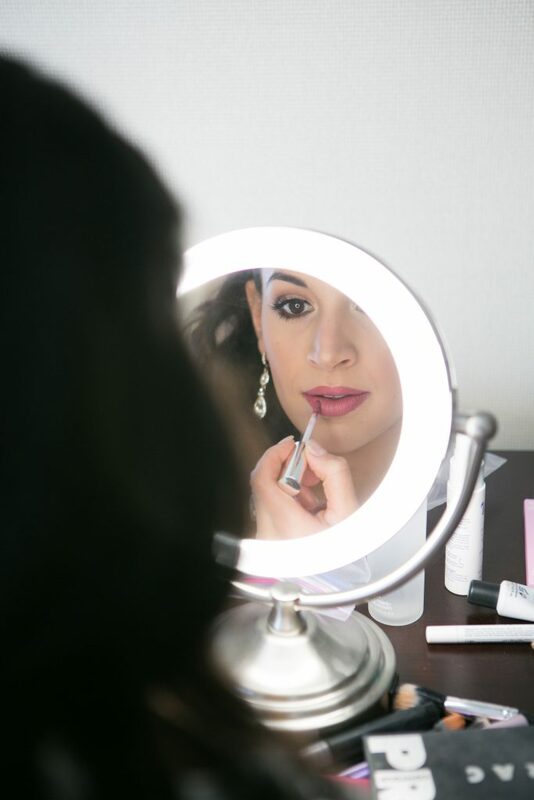 My wedding makeup tutorial and all of the products I used are listed below! This is so beautiful Natalie. I love your pictures. You look absolutely stunning!!! I love that you followed your gut and went with what really felt right to you because it looked amazing!